Are you looking to find out who owns a company? Look no further. We can help you locate shareholder information for every single UK company. Here’s how. Shareholders can and often do change. Therefore it’s important that you look at the most recent document. Whilst the ‘New Incorporation documents’ are handy for showing you who a company’s subscribers are (these being shareholders at incorporation), if a company has since filed an annual return or confirmation statement – take a look at the most recent filing for these for the most up to date information (we will be able to tell you when a document was filed). We hope you find this post helpful. 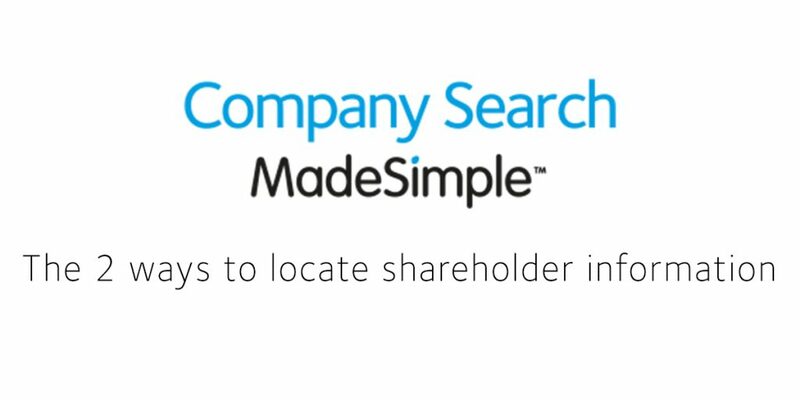 Visit Company Search MadeSimple now for more information on how we can help you gain insight into any business, director and shareholder.